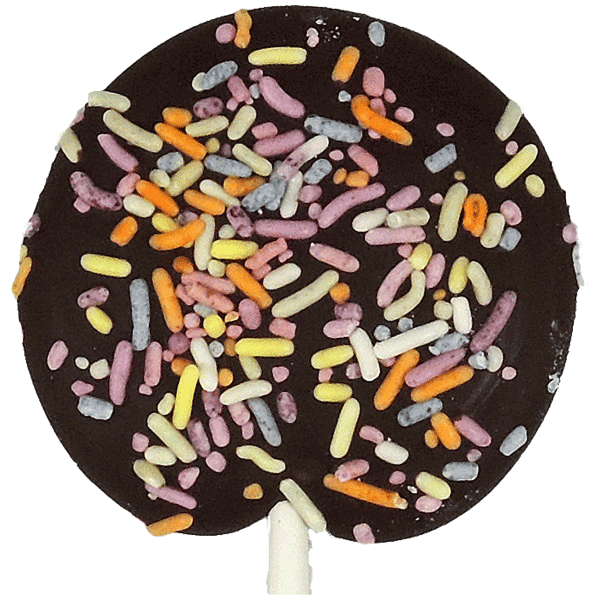 Rich dark chocolate with colorful candy sprinkles. Solid. INGREDIENTS: UNSWEETENED CHOCOLATE, SUGAR, COCOA FAT, CORN STARCH, CONFECTIONER'S GLAZE, CARNAUBA WAX, SOY LECITHIN ADDED AS EMULSIFIER, NATURAL VANILLA FLAVOR, ARTIFICIAL COLOR. MAY CONTAIN: MILK.